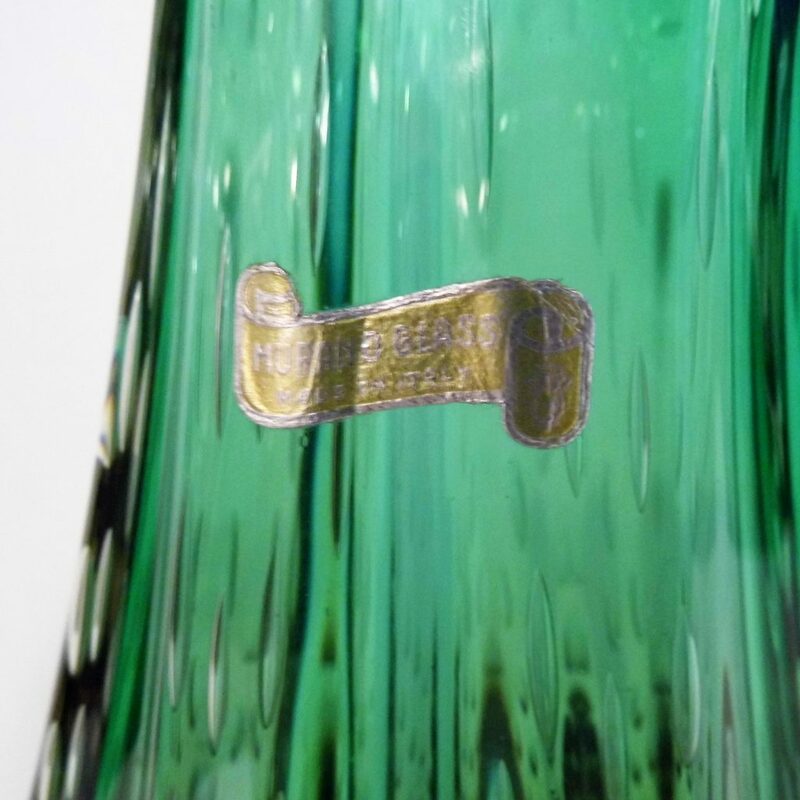 An excellent 1960s Murano Bullicante Vase in vivid sommerso green and amber glass. 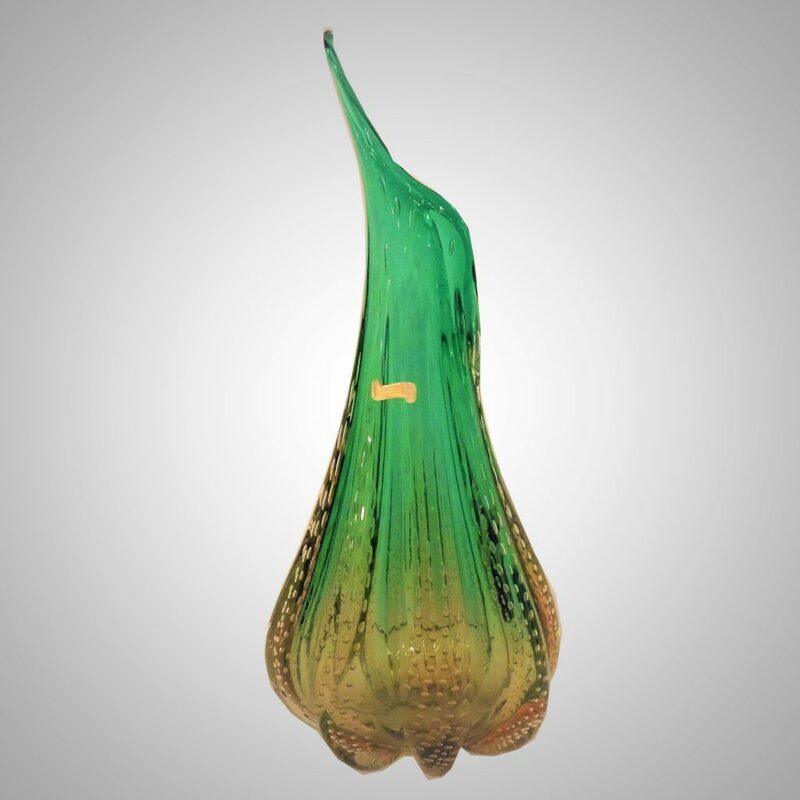 Hand blown on the island of Murano in the 1950s or 60s this vase has a great Mid Century Look. It has been made with Sommerso or ” Sunken Glasses ” technique were two two pieces of different coloured glass are joined and then blown into one. It also features the Bullicante ” Bubbles” distinctive of Serguso glass. It is in excellent condition and has an original Made In Murano label.